75 to 80% of Strokes are linked to Carotid Artery Blockage. This painless screening will quickly detect your risk for a stroke. Assessing your Risk for Cardio-Vascular Disease and Heart Attacks Thru the Carotid Intima-Media Thickness Test. 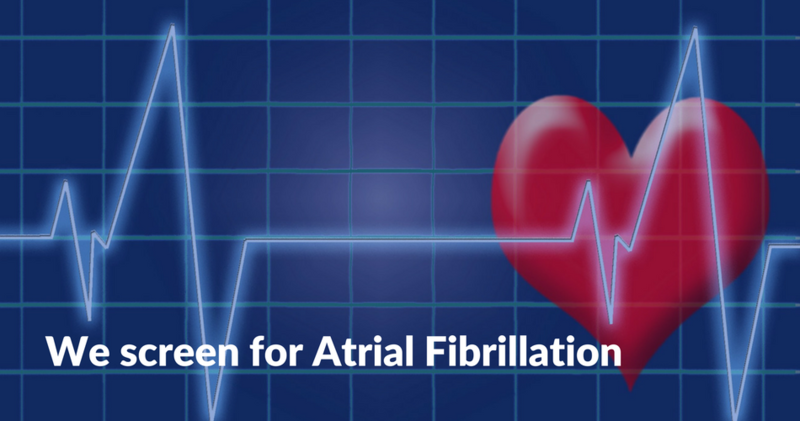 Atrial fibrillation is a cardiac dysrhythmia (an irregular heart rhythm) at 350-600 beats per minute. Common symptoms of thyroid abnormalities can include: fatigue, weight gain/loss, temperature swings, and difficulty swallowing.